Here are the best cordwood photo galleries I could find. They include good basic info and links to other cordwood resources. Enjoy. 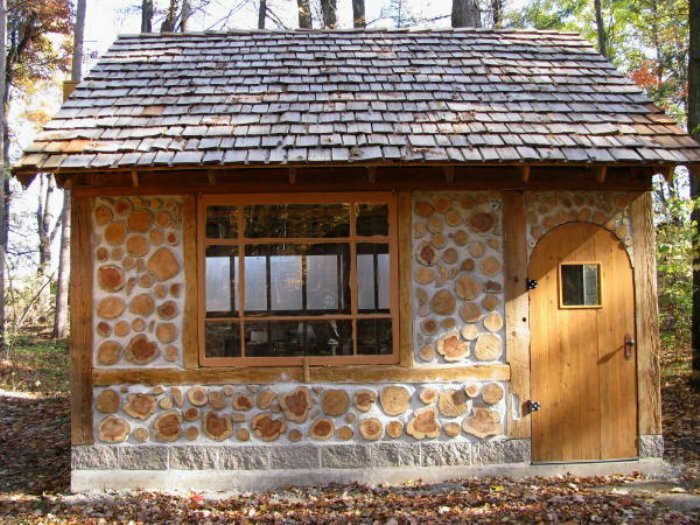 “Cordwood masonry is an ancient building technique whereby walls are constructed from “log ends” laid transversely in the wall. It is easy, economical, aesthetically striking, energy-efficient, and environmentally sound. Cordwood Building collects the wisdom of more than 25 of the world’s best practitioners, detailing the long history of the method, and demonstrating how to build a cordwood home using the latest and most up-to-date techniques, with a special focus on building code issues. Author/editor Rob Roy has been building, researching, and teaching about cordwood masonry for 25 years and, with his wife, started Earthwood Building School in 1981. 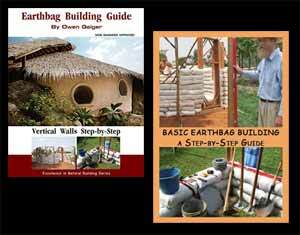 He has written 10 books on alternative building, presented four videos—including two about cordwood masonry—and has taught cordwood masonry all over the world. Considering Cordwood , what is any drawbacks has anyone found? You need an abundant source of suitable wood and a chainsaw. This works in certain areas. In the far north you’d want to add exterior insulation. Craig from Maine, check out Rob Roy’s website on cordwood house building. He explains how to build, warns to NOT seal the wood (it needs to breathe), and is one of the world’s leading experts. 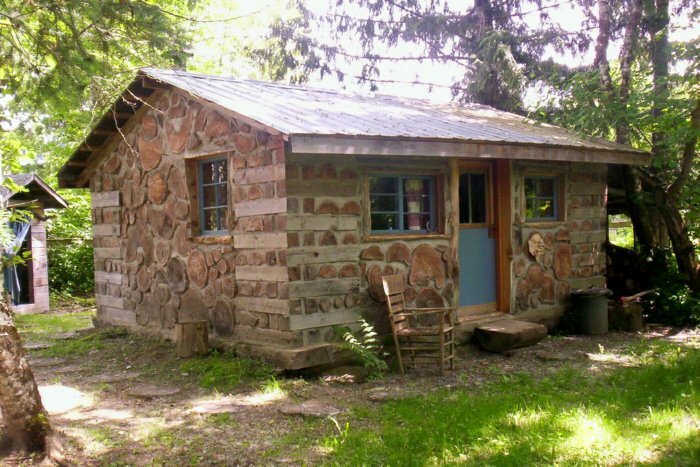 He has lived in a cordwood house for over 30 years. I remember reading about his home in the Mother Earth magazine back then. I have studied many different styles of building over the years and plan to use cordwood for one of my outbuildings once we are ready for our move. I like the simplicity, it seems very easy to cut logs to a particular length and stack them. But I’ve heard they shrink and can rot if untreated, or something like that. I wonder if the cut logs are better to be left out to dry for a year, or maybe dunked in polyurethane or something ? It seems easier than building a conventional log cabin. Most of these homes are in or near Wisconsin where lots of wood is available. It can be a good option for some. I would use rot resistant cedar wood that was carefully dried under cover for 2 or more years. Build wide roof overhangs to keep water and snow off the walls.